DocKIT for SharePoint is Vyapin’s SharePoint migration solution to migrate from file shares to SharePoint Libraries. DocKIT now features user interface changes that provide more vital information and statistics about the migration job. The Task Status window displays real time and more accurate data on the progress of the migration. 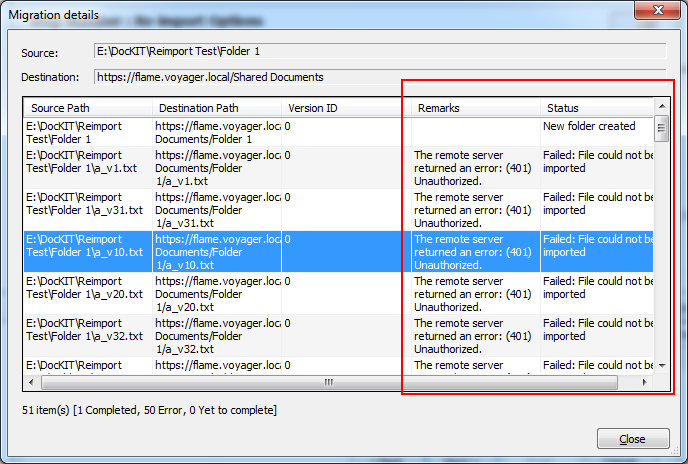 Once the migration is completed you can check the migration task summary in the Activity Log Viewer. This has also been updated to provide more details about the migration. DocKIT identifies the data selected in the source and the actual files migrated to the destination and displays the statistics at the end. These details under the Task Statistics tab provide you a clear idea on how successful the migration has been and the number of files migrated for each target library. See the screenshot explained below. Besides these improvements, the Re-Import Task Wizard displays more details about the contents that could not be migrated during the initial migration attempt. 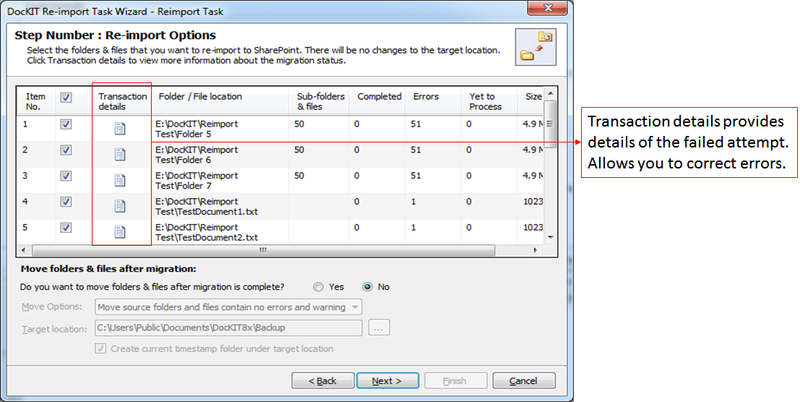 This helps you identify and select the files to be migrated and complete your migration task successfully. Here’s a screen showing how you can access the error details. Transaction details column provides the necessary information about the previous failed attempts. Here’s a sample image below showing the details of a failed attempt. The Remarks and Status columns indicate the reason behind the failed task and can help you retrace your steps to correct those errors.